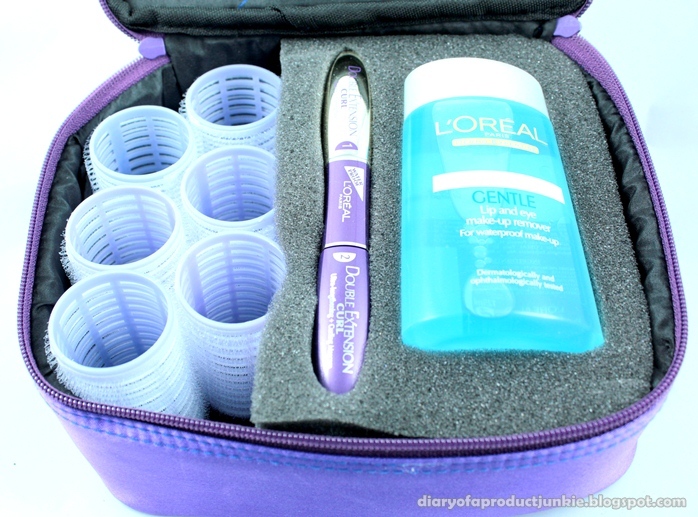 Hello, lovelies~ A few days ago, I was sent a package from L'oreal Paris and it was in a lovely and elegant makeup bag. They also included a leaflet of their newest mascara called the Double Extension Curl mascara, which consists of a base and a mascara. Inside the makeup bag, I found a mascara, a makeup remover and a set of velcro hair curlers. 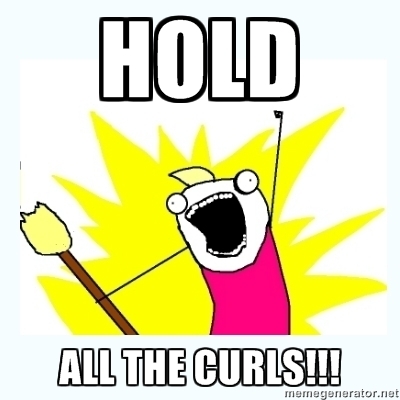 I guess they included the hair curlers because the theme is all about curl. The mascara does claim to be able to create and hold curls. Such a lovely and creative package! 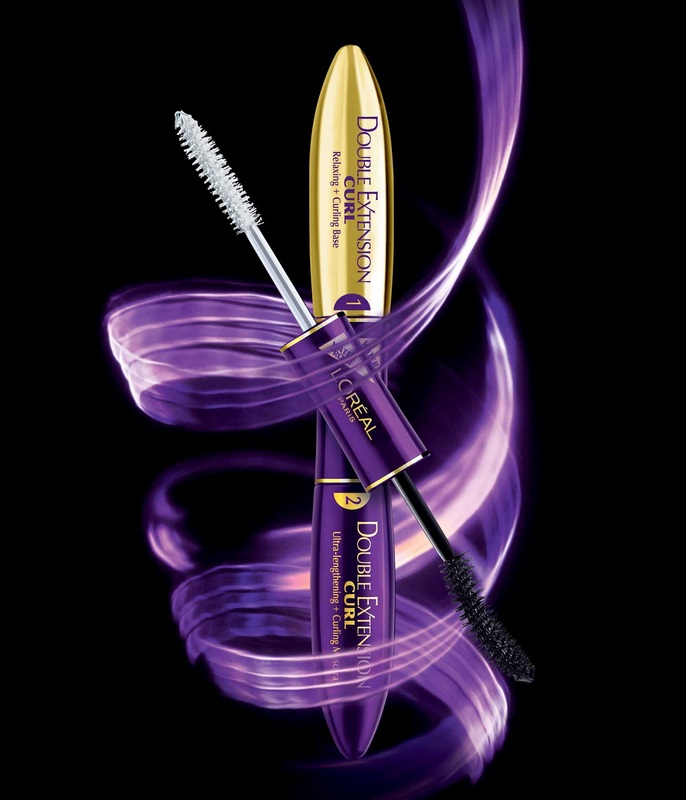 L'oreal Paris creates a mascara that is specially made for eyelashes that are commonly found in Asia, thin and grows straight down. 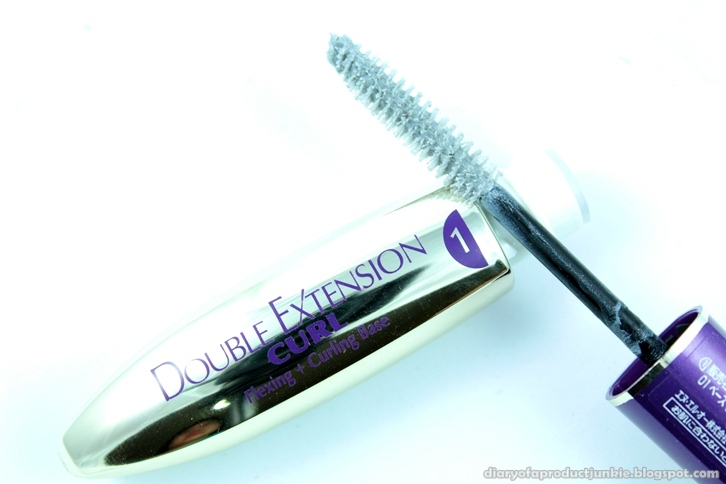 It claims to help hold the curl all day, making the eyelashes appear longer. 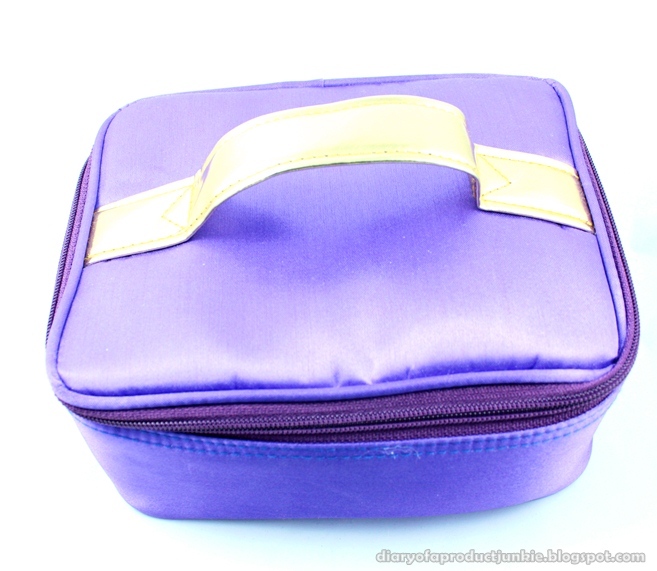 Right off the bat, the color theme is exquisite, with a combination of white and purple. I happen to like the purple color family, including lilac, lavender, royal purple, etc. The white part is the mascara base and the purple part is the mascara itself. At first, I was intimated by the mascara base because I'm worried that it might be a little too heavy and make my lashes droop. 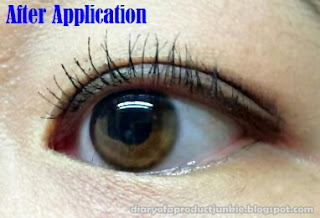 However, the mascara base felt light and helps in softening the lashes, making it easier to curl and hold it in place. This mascara has a dry formula, unlike other two-parts mascaras from other brands I've tried before. 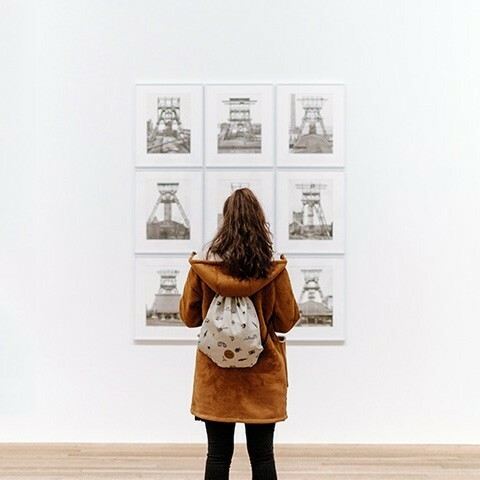 Since I have thin lashes that grows straight downwards, it's important for me to choose a mascara with a dry formula or a wet formula mascara that has been slightly wiped with a tissue. Due to its dry formula, my eyelashes are still in their curled position at the end of the day! This is a very contributing factor of repurchasing a mascara for me. I curled my eyelashes, applied the mascara base, followed by the mascara. You can skip the base if you want to, but for this review I'm going to apply both. Here is how it looks like after both steps have been applied. 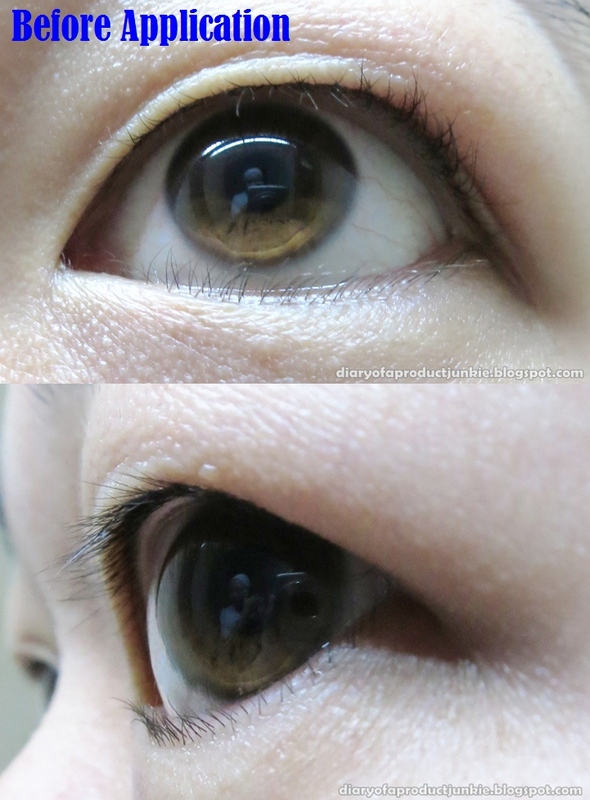 You can see how it lengthens my eyelashes, also separating them individually, hence the less clumps. I've only tried using a layer of this mascara and Mr. G said my eyelashes look longer and asked whether I'm wearing falsies. 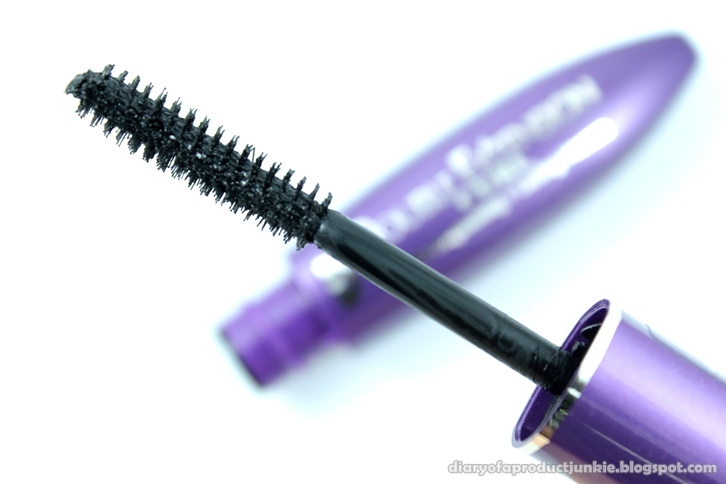 I love the lengthening effect that this mascara gives, but at the same time, it doesn't feel super heavy on my eyelids. I also notice no smudging on my lower lash line at the end of the day. havre u ever tried mj nascara??? it's HG mascara by many asains. but it is hard to remove!! !